So earlier today, a sports columnist from Denver made some waves through the Twitter world when he said that Colts owner Jim Irsay didn’t feel like he was told everything and was misled with the Andrew Luck injury. ESPN Radio this afternoon also said that Irsay mentioned that he didn’t know the severity of the Luck injury. How the hell does the owner not know the health situation of your star franchise quarterback? 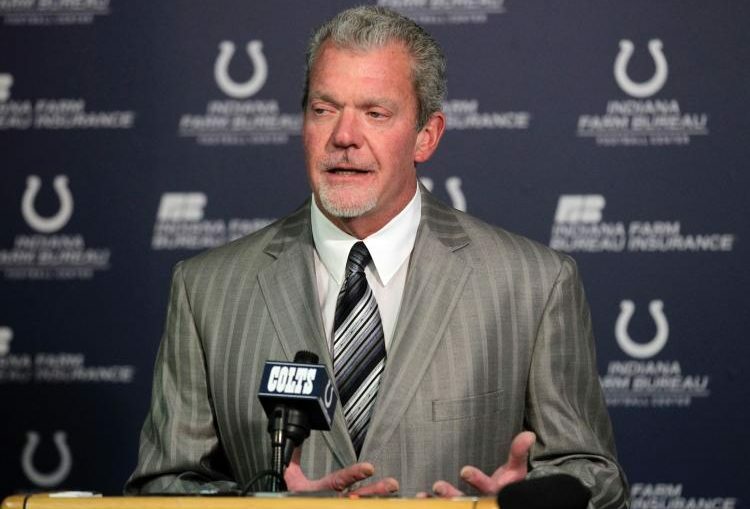 Per multiple sources #Colts owner Jim Irsay is privately furious about Andrew Luck situation. Feels he has been misled throughout. Jim has no clue what is going on with this team and HE mislead all of the Indianapolis fans and media regarding Andrew Luck. Below are some tweets from Irsay last year and at the beginning of this season regarding Andrew Luck. Andrew recovering from successful outpatient surgery to fix right shoulder injury that had lingered since 2015. Will be ready for season! I could keep going with these tweets and statements from Jim Irsay. I belive that Irsay told the fans that Luck would be ready for the season opener to ensure that season ticket holders continue to purchase tickets for the games. Yes, Ryan Grigson has blame for the way the Colts have performed by not drafting and improving the offensive line for the star quarterback, but Irsay hand picked Grigson and I don’t feel for one second that Irsay had his finger off the pulse of this Colts team ever. Yes, firing Chuck Pagano may be the first step, but the owner needs to own up to his mistakes and not mislead fans and the media when everyone knows that Andrew Luck does not look ready or capable of throwing a pass. Jim, take a backseat and just sit in your press box and look through your bank accounts. Let Ballard and the rest of the front office go out and get talent and coaches that can improve this team. The less that an owner is involved in the day to day operations….the better the franchise will likely be. Does MLB’s 2-3-2 World Series format fare for the favorite?